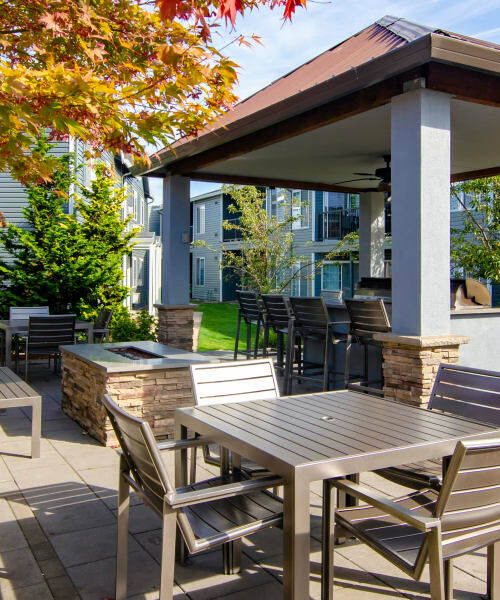 At The Addison Apartments, we’ve updated our one, two, and three bedroom Vancouver, WA, apartments with your lifestyle in mind. Your new, pet-friendly home features a spacious floor plan with plenty of special touches to suit your needs. Love cooking for your family and friends? Experience the luxury of your new gourmet kitchen with upgraded wooden cabinets, brushed nickel fixtures, and a built-in microwave. Need more space? Your new home comes with vaulted ceilings and expansive windows to create an extra spacious feel, and some homes come with an additional outside storage closet. Short on time? Save your weekends from the laundromat with an energy efficient in-home washer and dryer. Looking for a place to unwind at the end of a long day? Enjoy some fresh air on your personal patio or balcony, or curl up with a good book by your gas fireplace. At The Addison Apartments, we know you want a community that matches the high standards you have for your home. That’s why we designed your new community with all the must-have amenities you’ve been looking for. Make time for yourself with our 24-hour fitness center. Get ahead on work or meet fellow residents in our clubhouse with WiFi. Entertain guests all summer long at our outdoor BBQ and picnic area. Keep your car looking brand new in your detached garage. Come experience your new home. Contact us to schedule a tour.